Why Sponsor the Zero Degrees Festival? The Zero Degrees Festival, now in its tenth year, is a celebration of culture, music and comedy taking place at various venues around the beautiful, historic town of Louth, Lincolnshire. 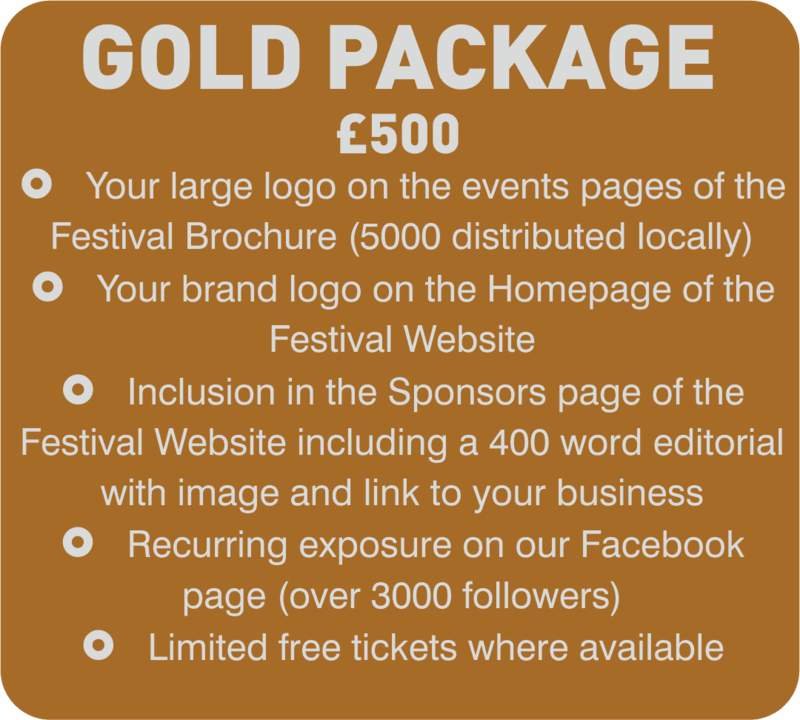 The 2019 Festival will launch on Friday 14 June and ends on Sunday 30 June and we are giving you the opportunity to support this fantastic festival as a Sponsor. The Zero Degrees Festival is not funded by central government or through Europe, all of the sponsorship we receive is either through local councils/councillors (ELDC and LTC) or from businesses and partners that we work with. The sponsorship and donations we receive each year goes towards the amazing entertainment put on over the two weeks, be it music, dance, comedy or the arts. The festival continues to grow every year, with thousands of people attending the events from across Lincolnshire and beyond, plus coverage in local and regional media. 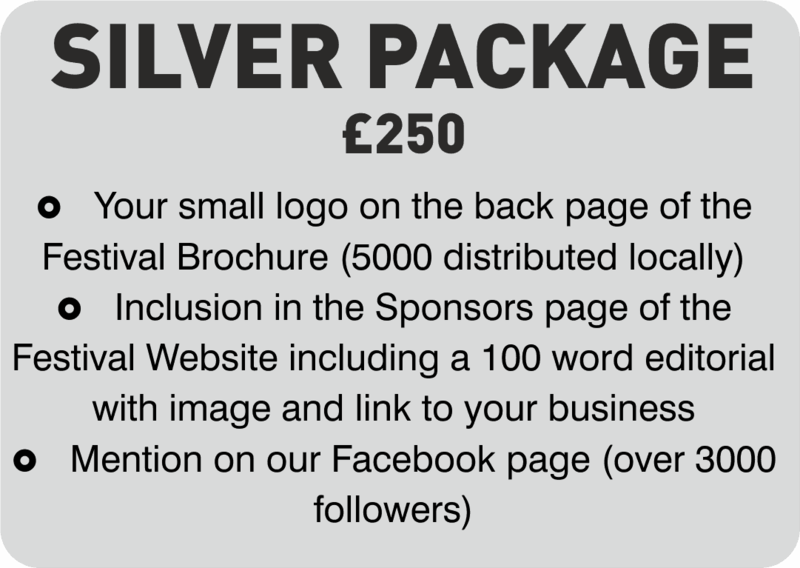 Help keep the Festival alive and either become a sponsor or make a small donation. There are several levels of sponsorship, chose a level to suit, or if you would just like to donate we appreciate every penny given. 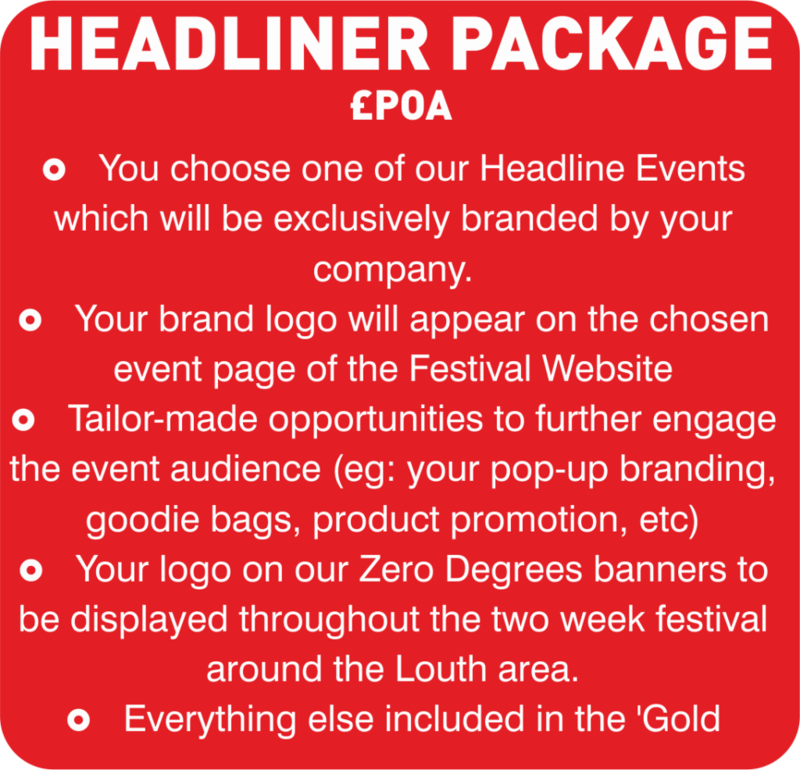 You choose one of our Headline Events which will be exclusively branded by your company. Your logo on our Zero Degrees banners to be displayed throughout the two week festival around the Louth area. If you would just like to make a donation, (min of £25) however large, you can do this here.